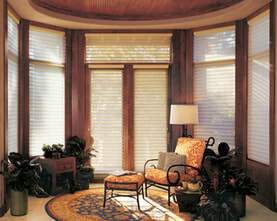 Vermont Shade & Blind offers a full line of Hunter Douglas, Graber, and many other custom made window treatment products. Let us help you decide what shades, blinds or interior shutters work best for your home and your budget. We carry several other brands to suit your needs. Serving all of Vermont and Northern New York including Burlington, Rutland, Middlebury, Killington, Winooski, Essex, Colchester, Charlotte, Lake George, and beyond! WE BRING THE SHOWROOM TO YOU! !